Today we focus on concept books about numbers and counting. 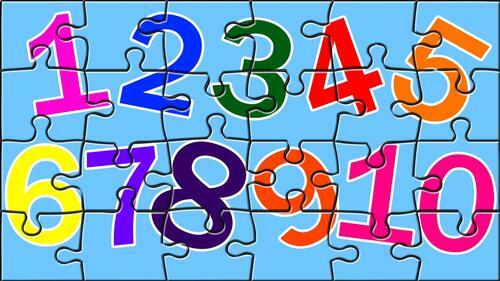 These books are designed to teach children number recognition and the concept of counting, both forward and backward. Count along with Mother Duck as her ducklings try to waddle across the bridge. 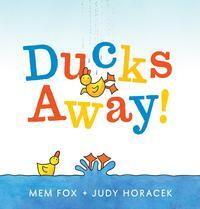 When a sudden gust of wind sweeps one of Mother Duck's ducklings into the river, she doesn't know what to do. With four ducklings on the bridge and one below, Mother Duck is torn as to which way to go. Suddenly, a second duck falls. As she paces and frantically quacks, the remaining ducklings playfully plop one by one into the river until all of the siblings are happily floating along. Now that all five ducklings are safely in the water, Mother Duck flies down to join in the fun, relieved to have all her ducklings together again. This interactive board book filled with shaped pages combines irreverent humor with a counting theme. One fish, two fish, three fish, all the way up to ten fish, then... CHOMP! Turn the pages of this delightfully clever picture book to see a new fish on each spread, and count along as each fish prepares to eat the one before it. 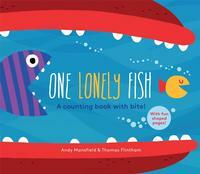 Then the ultimate finale—a huge mouth dominates the last page, gulping up every fish... returning us to one lonely fish! Do you care to count some more? 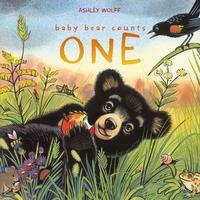 Head over to our list of Books about Counting for additional recommendations. Concept books about numbers and counting are designed to teach children number recognition and the concept of counting, both forward and backward.